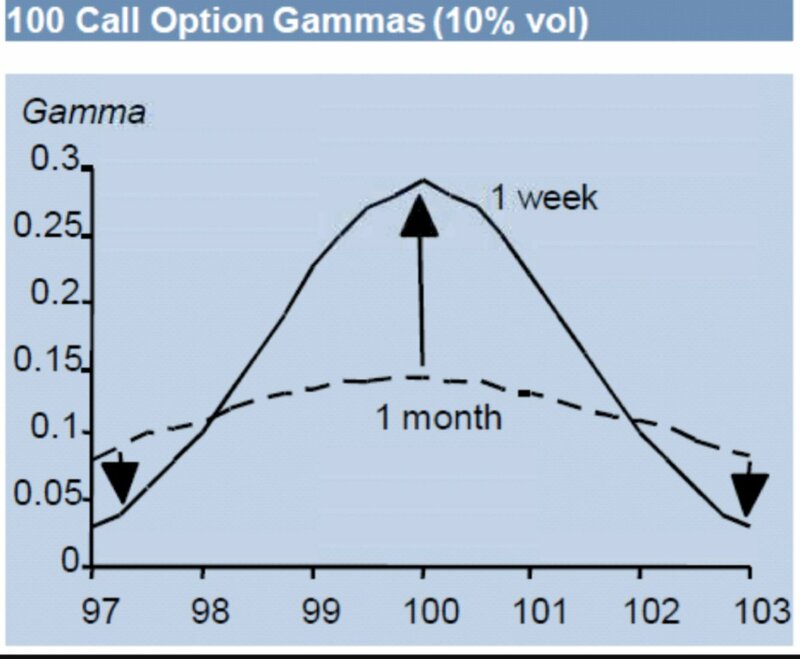 A simplified thread about #Gamma : Delta is change in option price with change in stock/nf/BN, but Delta doesn't remain constant, so how much delta will be changed, is measured by Gamma. Confusing? (Price Change x Gamma) + old delta = New delta. 3/n, ATM has highest Gamma, as ATM changes delta quickly either to bring option in the money or out of the money. The sensitivity is highest at ATM. With less time, it's more sensitive to price. Attached graph taken from google.